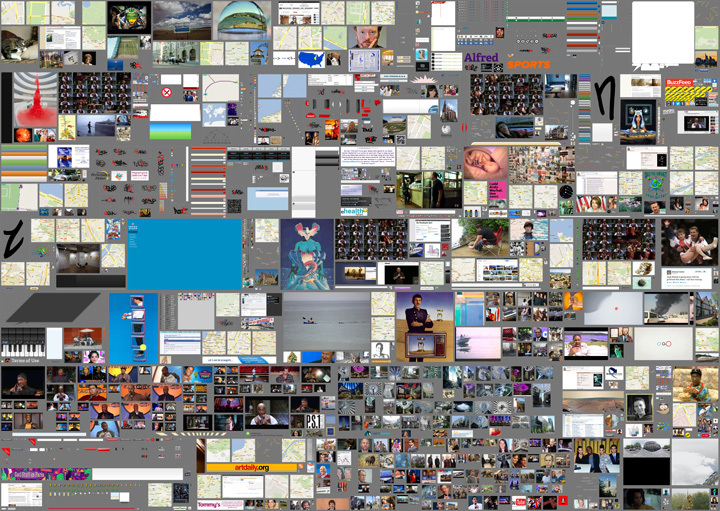 The last decade has seen an incredible growth in the production and distribution of images. The availability of inexpensive production tools has seen an exponential rise in amateur creativity, while the Internet provides a new distribution platform for this kind of production, which previously remained private. Videogames, virtual worlds and systems such as Google Street View offer this mass of prosumers whole worlds that can be built, implemented through their own creative practices, documented and used as tools for the development of new images and new narratives. What is the impact of this process on art practices and the artist – in the past, the sole, hallowed depositary of the creative gesture? What kind of dialogue is there between amateur practices and codified languages? Collect the WWWorld sets out to demonstrate how the Internet generation is implementing and developing a practice started in the Sixties by Conceptual Art, and further developed in subsequent decades in the forms of Appropriation Art and postproduction: the practice of exploring, collecting, archiving, manipulating and reusing huge amounts of visual material produced by popular culture and advertising. Mass media has now been replaced by a mass of mediators. Art is not responding to what they do with a more professional and technically advanced use of the same tools, but is instead refining its own languages and codes. From Conceptual Art contemporary artists have inherited an extraordinary instrument that allows them to preserve and enforce their social role in the society of images and information: its ability to filter, analyze and refine the codes of cultural communication. 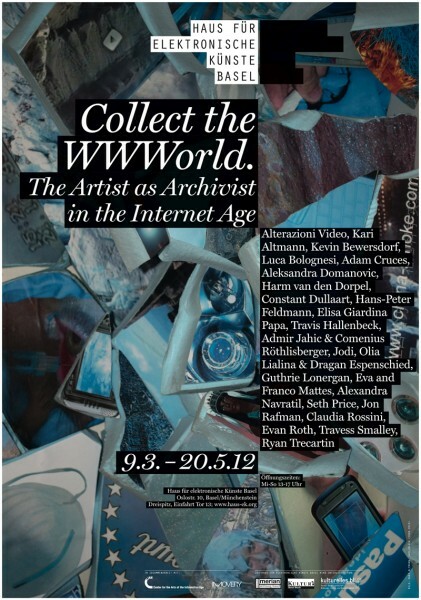 Collect the WWWorld is an attempt to show how art responds to the information society. 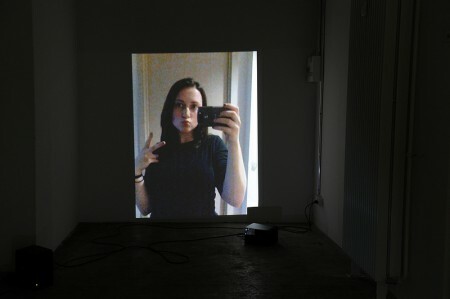 The research work around the show can be followed on the blog http://collectheworld.linkartcenter.eu/. Opening: Thursday October 18, 7:00 p.m. – 10:00 p.m.
With work by: Alterazioni Video (I), Kari Altmann (US), Gazira Babeli (I), Kevin Bewersdorf (US), Aleksandra Domanovic (D), Constant Dullaart (NL), Elisa Giardina Papa (I), Travis Hallenbeck (US), Jason Huff (US), Jodi (NL), Olia Lialina & Dragan Espenschied (D), Eva and Franco Mattes (I), Oliver Laric (D) Jon Rafman (US), Ryder Ripps (US), Evan Roth (US), Ryan Trecartin (US), Brad Troemel (US), Penelope Umbrico (US), Clement Valla (US). Artists: Alterazioni Video (IT), Kari Altmann (US), Cory Arcangel (US), Gazira Babeli (IT), Kevin Bewersdorf (US), Luca Bolognesi (IT), Natalie Bookchin (US), Petra Cortright (US), Aleksandra Domanovic (DE), Harm van den Dorpel (NL), Constant Dullaart (NL), Hans Peter Feldmann (DE), Elisa Giardina Papa (IT), Travis Hallenbeck (US), Jodi (NL), Oliver Laric (DE), Olia Lialina & Dragan Espenschied (DE), Guthrie Lonergan (US), Eva and Franco Mattes (IT), Seth Price (US), Jon Rafman (US), Claudia Rossini (IT), Evan Roth (US), Travess Smalley (US), Ryan Trecartin (US). Domenico Quaranta (ed), Collect the WWWorld. The Artist as Archivist in the Internet Age, exhibition catalogue, LINK Editions 2011. Texts by Josephine Bosma, Gene McHugh, Joanne McNeil. Soft cover, 160 pp. Color: ISBN 978-1-4478-3949-1, € 36.80; Black & White: ISBN 978-1-4709-0161-5, € 11.20.